A greyhound named Flicka has run 169 races in her lifetime. Recently, just after her fastest two races, she tested positive for cocaine. And Flicka isn’t the only one. A staggering 12 greyhounds who race at the Orange Park track in Florida — one of the few states where greyhound racing is still legal — were just discovered with benzoylecgonine in their systems, a sign of cocaine usage. The dogs tested positive on 18 different occasions since the beginning of this year. The trainer responsible for the dogs has had his license suspended while awaiting a hearing on the case. But this is just another drop in the bucket of what is already a sad and troubled industry. 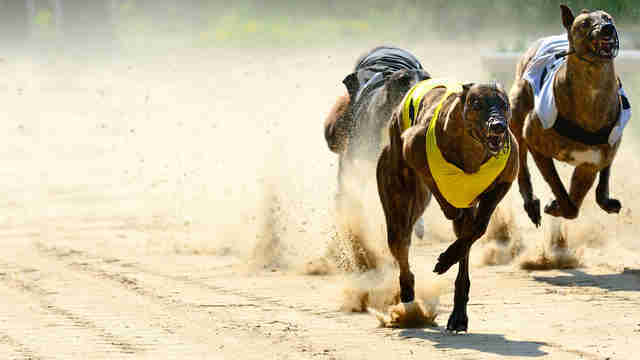 “A greyhound dies on a Florida track every three days,” MacFall said, adding that the greyhound racing industry in Florida isn’t even required to report injuries sustained by the racing dogs. 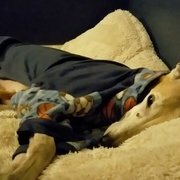 And drugs already flow pretty freely: Female greyhounds are given steroids every two weeks to stave off going into heat, causing health problems, MacFall said. There was recently legislation introduced to ban this practice, but it didn’t pass. And that doesn’t even begin to convey the daily lives of the racing dogs, who usually spend about 20 hours per day in cages. Some of the larger greyhounds can barely even stand up in the confined spaces. They race and race until they get too tired. If they survive until retirement and are lucky, they are put up for adoption, adding to the millions of dogs in the U.S. who are homeless. Luckily, people are trying to stand up for the greyhounds trapped in this cruel industry. Even though some proposed legislation hasn't made it through the state government, advocates aren't planning on giving up any time soon. To take a stand against drugging greyhounds, you can sign this petition.